Summer is officially here. If you need a break from the outdoor festivities, here are some games you may have forgotten about. Maybe one of them will catch your fancy for a replay. Donkey Kong was released on July 9, 1981. Donkey Kong started out as an arcade game. This first version features the character maneuvering around platforms while trying to avoid obstacles. 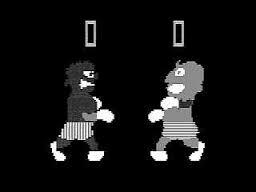 Donkey Kong became incredibly popular in America and produced many spin offs. Released In July of 1983, King’s Quest was a revolutionary game in the the computer game industry. It was commissioned by IBM and would eventually be made for other platforms. The story features a knight who is trying to help his King regain lost treasures to help restore the Kingdom back to its former glory. Windows 3.x released World Empire III in July of 1991. The game is turn based. Players try to conquer the world. The player will start off with a country, a flag and an army. Then players strategize how to best use these to meet the objective of taking over the world. Max Payne was released on July 23, 2001 for the PC. Max Payne a third person shooter game. The player is guided through the game by Max Payne’s inner thoughts on what to do next. Progression through the game gives the player access to new things such as different guns and painkillers, which they need to regain health. The Max Payne series has won many awards and is a favorite among many PC gamers. Released worldwide on July 27, 2010, StarCraft II: Wings of Liberty was the anticipated sequel to StarCraft. It was sold 12 years later by Blizzard Entertainment.Wings of Liberty was a military game that featured heavy science fiction themes. The game is set four years after the first game and follows the leader of an insurgent group. So, there are some games that made up this month in gaming history. Hopefully your summer is treating you well. Posted in Spotlight and tagged Donkey Kong, Gaming, Gaming History, history, July, King's Quest, Max Payne, StarCraft II: Wings of Liberty, Summer Activities, Summer fun, summer releases, Video Games, World Empire III. Bookmark the permalink. It is said that April showers bring May flowers. Well, I don’t know about that, but I am sure that most of us just want April to bring more games. Once again, it appears that not a lot of games were released in April – until the 1990s, that is – so we will be starting a little later in the timeline this month. Here are some games that were released in April. Little Computer People was a disk game that originated in Japan. It was released on April 3, 1987. The game has no winning conditions, and only one setting: a sideways view of the inside of a three-story house. An animated character moves into the house and goes through everyday situations, including a poker game for some characters. No two characters are the same, so every time it is played it is different as you go. Splatterhouse was released for PC Engine on April 6, 1990. The game was developed in Japan and is a game where a man named Rick is trapped with his girlfriend inside a mansion where they have taken refuge from a storm. Rick then has to fight off hordes of creatures while under the influence of a special mask in order to save his girlfriend and escape. Bob Vs the Mob was developed for DOS and released on April 3,1995. Our little protagonist in this game is a stick figure attempting to shoot down his adversaries. They are also stick men and apparently are members of the criminal underground. The player shoots and moves forward instead of the more free game play we enjoy now. Easter in Reality on the Norm was released worldwide for Easter in April 2003, to be played on Windows. It was mostly point and click game play. The Easter Bunny comes to town and you are to help him deliver presents while solving different puzzles. A cute idea for a themed computer game. Planet Fish was released for the Wii on April 4, 2011. You use your underwater vessel to travel to different regions such as the Great Barrier Reef to collect different colorful fish for your personal aquarium. That objective seems a little decadent to me but whatever floats your underwater boat. While collecting fish and trying to unlock animated trophies, you have to look out for obstacles. These could be jagged rocks or dangerous underwater species. The Elder Scrolls Online is one that I think many of you will be familiar with. This first installment of the multiplayer game that so many of us enjoy was released on April 4, 2014. The game starts with character creation, choosing from four classes and three factions. Unlike some of the other games, each faction had its own campaign that progressed in a linear fashion through different regions. May April showers bring May flowers… and more games. Posted in Spotlight and tagged Bob Vs the Mob, Easter in reality on the norm, Elder Scrolls, Elder Scrolls online, ESO, Gaming, Gaming History, history, little computer people, planet fish, splatterhouse, the elder scrolls online, Video Games. Bookmark the permalink. January can be a bleak time of year for some of us. Winter is here; New Year’s resolutions are not quite as fun as they seemed before January. Thankfully, we have games to help us get through the slump. Here are some games that have been released in January throughout the years. A video game manufactured by Sega in 1976, Heavyweight Champ is arguably one of the first games to feature hand-to-hand combat. It’s a sparring game with boxing gloves for controls. The gloves would be moved up and down for different punches. There is also a remake of the game from 1987. This poor game is known as one of the worst gaming systems of all time. Created in 1977, it has no color and no controllers. Also, it was released right before the Atari 2600, so it didn’t stand much of a chance. One of my favorite games as a kid was Ms Pac-Man. They had one machine at the local pizza place and it was this lovely lady. While waiting for food my brother, cousin and I would fight to see who would dodge ghosts the best. It was originally released in 1982. After all the time I spent playing this, I can understand why it is such a beloved game in most of the research I did for this article. 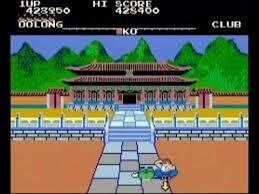 In 1985, this fighting game came out. It gave you a cast of characters, with specialized fighting, to choose from. You would try to get bumped up to a different tier so you could go get the harder bad guys at the Temple. I would be so bold as to guess that this game influenced a lot of the fighting games that would come later and had a similar pattern. 1998 was a good year for games. 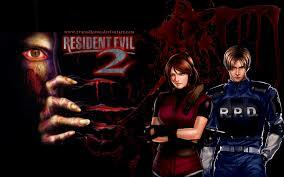 One of the games that has been highly touted was Resident Evil 2. This game takes place directly after the events of the first game. It focuses on puzzle solving and combat to fight off the infected. 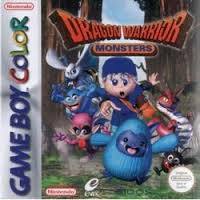 In Dragon Warrior Monsters, you are a small boy named Terry and you have to rescue your sister from a world of monsters that she has been dragged into. This game was first released in North America in 2000. It is sort of like Pokemon, where you fight and train in tournaments and it was a pretty cool game to play on your Gameboy. Posted in Spotlight and tagged Dragon Warrior Monsters, Gamers, Games, Gaming, Gaming History, Heavyweight Champ, history, Ms Pac-Man, RCA Studio II, Resident Evil 2, Video Games, Yie Ar Kung Fu. Bookmark the permalink.